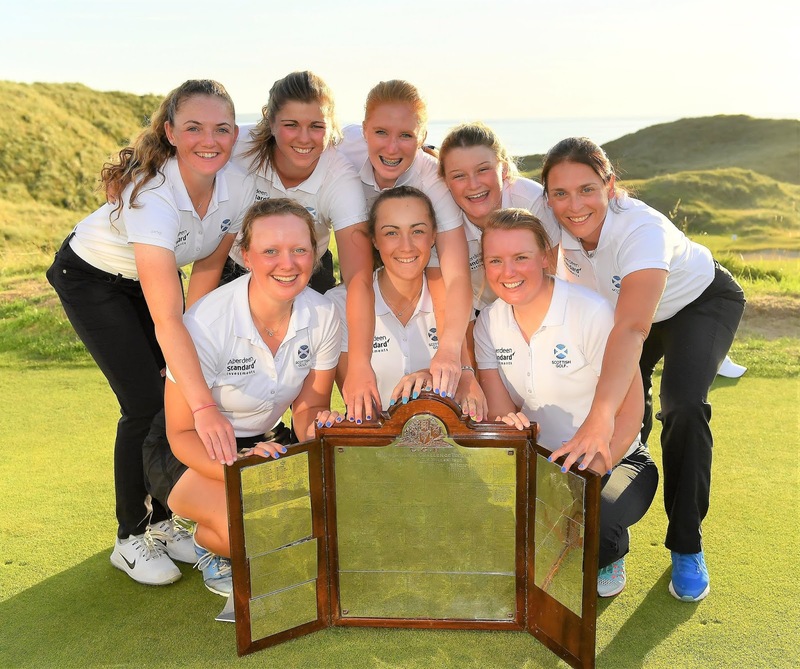 In a thrilling finale, Scotland beat Ireland 6-3 to win the Ladies Home Internationals for the first time since 2010 while England beat Wales in a final -day decider to retain the Girls Home Internationals title. Batty, who had lost her singles matches against both Wales and England, needed only a half to secure victory on a count back of total points. One up with three holes to play, Batty was under pressure when Grant birdied the long 16th to make the match all square. But the Scot held on with pars at the final two holes, bravely holing from three feet at the last for the vital halve. Scotland had set the tone by winning the morning foursomes 2½ -½ and Hannah McCook continued her great form with a 6 and 5 win in the top singles. She had a great week, taking five out of six points. Chloe Goadby and Connie Jaffrey were the other Scottish singles winners, while Mairead Martin and Annabel Wilson claimed points for the home favourites. So it all then came down to the final game. In the Girls Home Internationals, Royal Cromer’s Amelia Williamson, who had to pull out due to gastroenteritis on the eve of the event last year, was the stand-out player, winning six points out of six matches to help England retain the trophy. England won the foursomes 2-1 in the final day decider against a dogged Welsh team and it proved decisive as the singles were shared 3-3. The two key matches were at number two and three in the afternoon. Martha Lewis clinched the match on the 18th for a one hole win over Carys Worby and then Hannah Screen beat Darcey Harry by two holes. Williamson provided the third singles point with a 5 and 3 win over Ffion Vineall. Ffion Tynan, who had a 100% record from five matches, won the top game for Wales 3 and 1 against the previously unbeaten Caitlin Whitehead, while Lea-Anne Bramwell and Eleanor Willis, who won the final match against Euphemie Rhodes at the 18th, added the other points. In the other match, Ireland beat Scotland 5½-3½ to finish in third place, just losing out on Wales on games won for the runner-up spot. The 2019 Ladies and Girls Home Internationals will be held at Downfield, Dundee from 7-9 August 7 to 9.